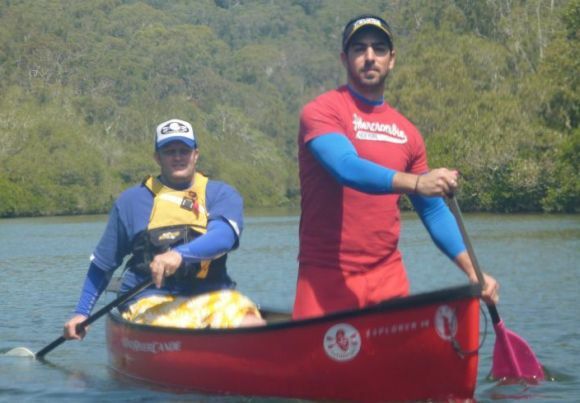 Two crazy men in a canoe - bring it! 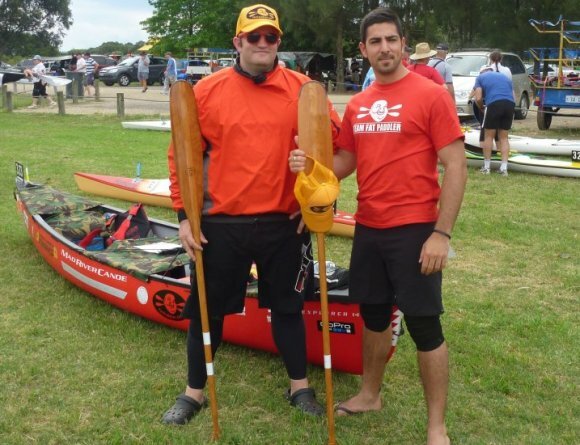 With the team now finalised for this years Hawkesbury Canoe Classic, I thought it time to hang up the kayak for a month and start getting some kms in with my Mad River canoe. 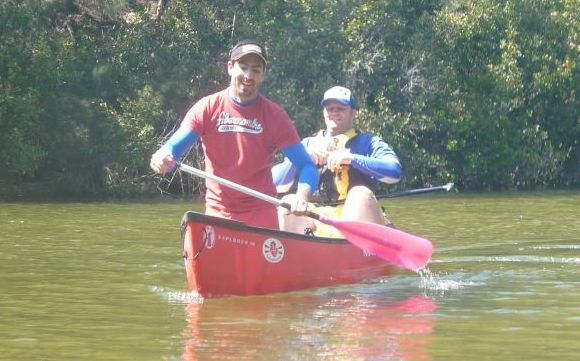 With new Team Fat Paddler member Gelo joining me, we took the canoe up to the Ku-Ring-Gai Chase National Park with Grumm. C'mon Gelo, I didn't just bring you along to look pretty, paddle dammit! 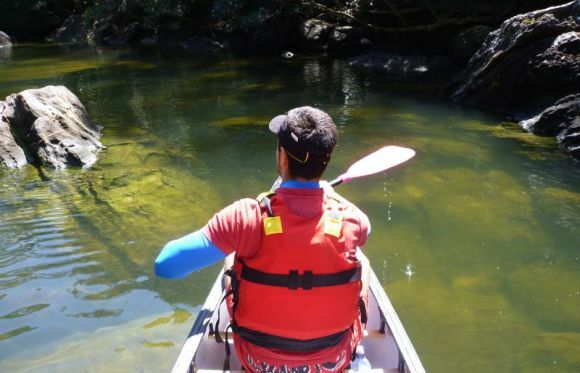 With the two of us in the canoe we struggled a little with steering and synchronising our paddling but as we made our way into the beautiful wilderness of the National Park it slowly came together. 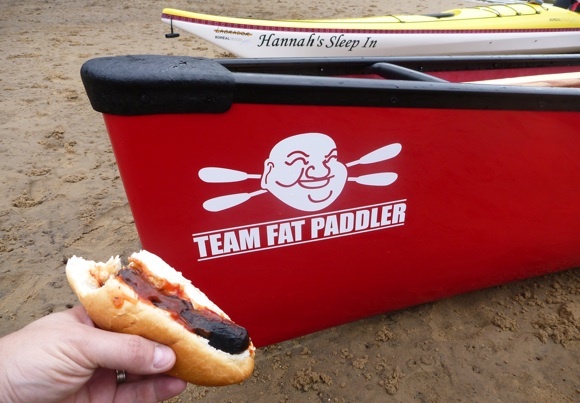 In fact, despite the short boat length and incredible width, the boat seemed to manage a fair pace when we got our paddling working well together. 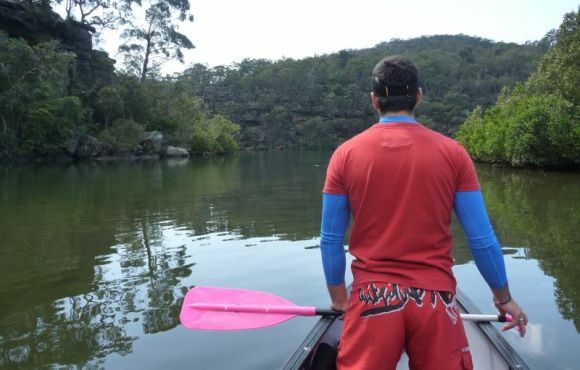 Nice pink paddle Gelo. Really, errr, nice! 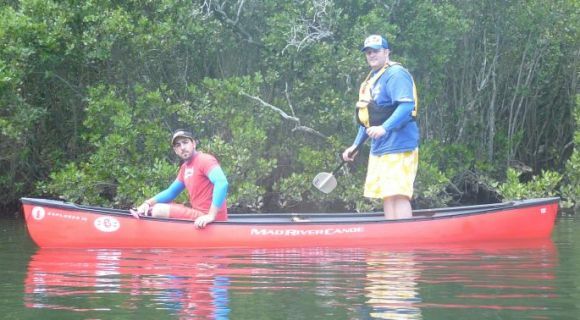 Of course as we worked on our paddling together the scenery around us went from beautiful to stunning. Banks of mangroves changed to rocky pools and overhanging trees as we worked our way further and further up into the Park. 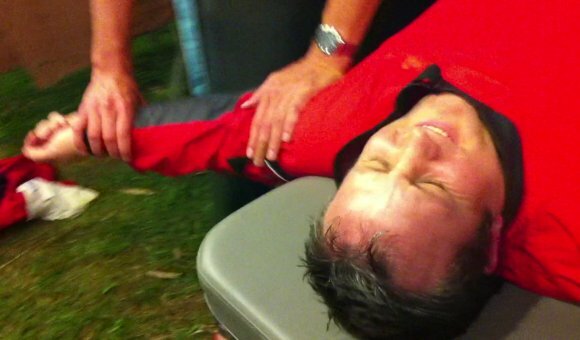 With Sydney having put on a magnificent Spring day for us, it was hard to treat this as training! Drifitng amongst the rock pools. Turning around, we now had the run of the retreating tide and found that the canoe would get some real pace once running with the water. We were having some real fun now and started experimenting, with me trying out using the canoe as a SUP a few times, paddling down stream whilst standing in the back. A canoe, or a SUP?? Who cares, as long as we're having fun! Ahhh, now THIS is the way to travel! We use a canoe for family trips. 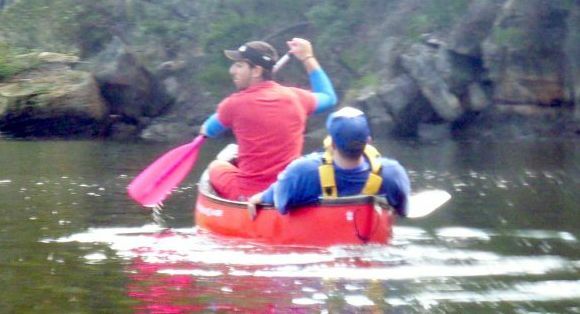 In order to avoid divorce like discussions we find the person in the back is the steerer and the person in the front paddles whichever side they feel like and must not attempt to steer unless the captain requests assistance.. Once embedded the concept makes our canoe trips way more fun. Also we find the best speed and enthusiasm when the catch is timed well and we both start the stroke at the same time. This seems to maximise speed. Seriously a longer canoe would be a good idea. 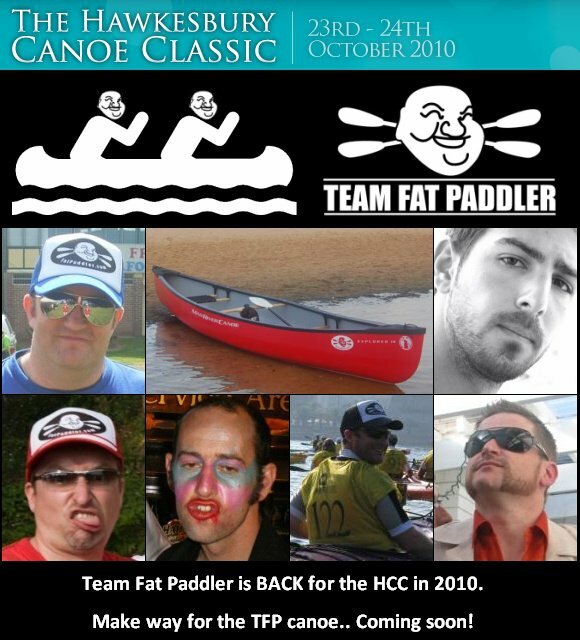 As a pitifully slow paddler myself I cringe at the thought of paddling your C-2 in a marathon. Mind you Richard Barnes has done the race in almost every imaginable boat.